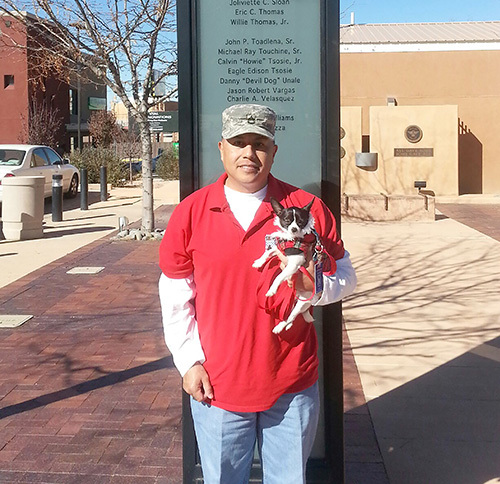 A local veteran said he was denied service from a local eatery because the owner would not allow him to bring his service Chihuahua dog into the restaurant. Phillip Ramirez, Jr., along with his daughter, son, and niece, said they were denied service from Garcia’s Sunset Grill on Sept. 27 after he was told by the owner, Carlos Garcia, that his service dog, Bunny, was not allowed in the restaurant as Garcia believed the dog to be a pet. “I was in disbelief about what happened, I couldn’t belief that this took place in our community,” said Ramirez, a 23-year veteran of the National Guard who reportedly suffers from Post Traumatic Stress Disorder. 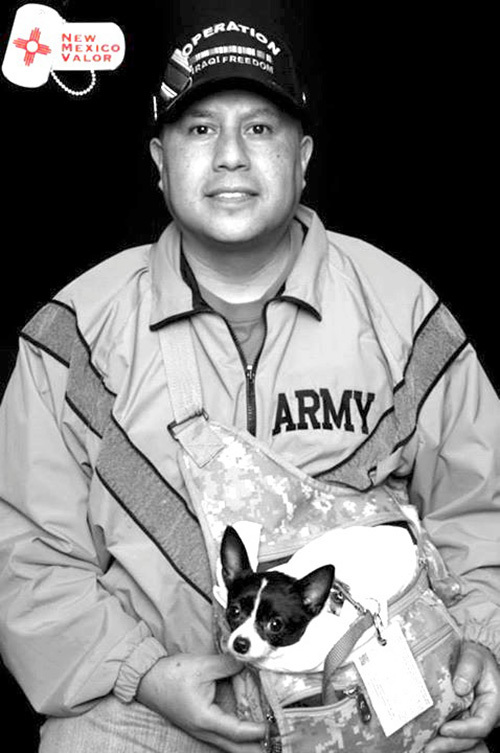 When asked, Ramirez refused to show any service-dog paperwork for Bunny to the Gallup Sun. He also admitted that he didn’t show any paperwork to Garcia or other restaurants that have asked for proof . 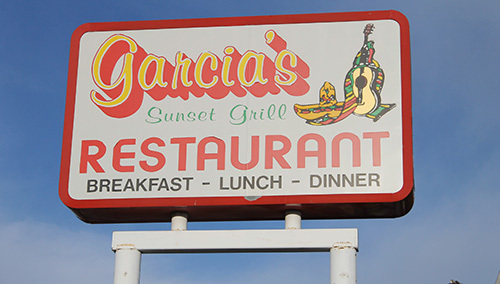 Family spokesman Cesar Garcia, Carlos’ son, explained that he had heard rumors that Ramirez had done this to other local diners, including Jerry’s Café, Railroad Cafe, and Panz Alegra. Ramirez denies these claims, and said he has photos of him dining in those restaurants, with Bunny in tow, on Facebook. He said that he’s receiving an outcry of support for he and Bunny on social media. Ramirez said he keeps Bunny in a pouch that keeps her restrained and from bothering other restaurant guests. 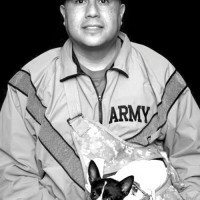 Garcia said his family supports veterans and all legitimate service dogs. “We support all veterans and their companions, all accredited service dogs are allowed,” he said. 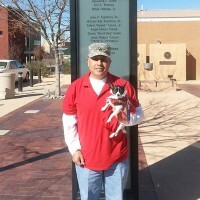 The Gallup Sun contacted the ADA hotline, and asked a man name Joseph, who would not give his last name, about Ramirez’ dog. He said Bunny is more than likely a “comfort” dog, and not an accredited service dog. Joseph also seemed surprised that a chihuahua is being touted as a service dog. The most common type service dogs is the German Shepherd breed or bigger breed dogs, he said. It’s an argument that Ramirez challenged. “Service animals come in all sizes now,” Ramirez said, who added that he has seen a small percentage of service dogs throughout the years. It’s clearly a civil matter, however. As arguing intensified at the restaurant that day, both Ramirez and Garcia called police to the scene. According to a GPD spokesman, the officer did not take an incident report as no criminal activity occurred. Ramirez added that his daughter started video recording while police were on scene. 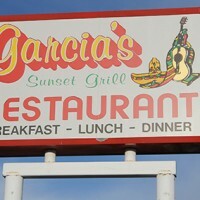 Garcia said that Garcia’s Sunset Grill Facebook page has been receiving a lot of negative comments and racist remarks from the incident. He stressed that there are three different types of dogs – service, comfort and pets – and he wants the public to know the difference between service dogs and comfort dogs. To further educate the public, Garcia said that the restaurant is collaborating with the U.S. Department of Veterans Affairs, and possibly an animal welfare organization, to host a luncheon on Oct 11 from noon - 2 pm. All veterans and accredited service dogs are welcomed. At this meeting, there will be information on how to properly register a service animal and information about the three different types of service animals people can register their animal under. Meanwhile, the ADA site states that a business cannot ask about a person’s disability; require medical documents; require a special identification card; training documentation for the dog; or ask if the dog can demonstrate its ability.